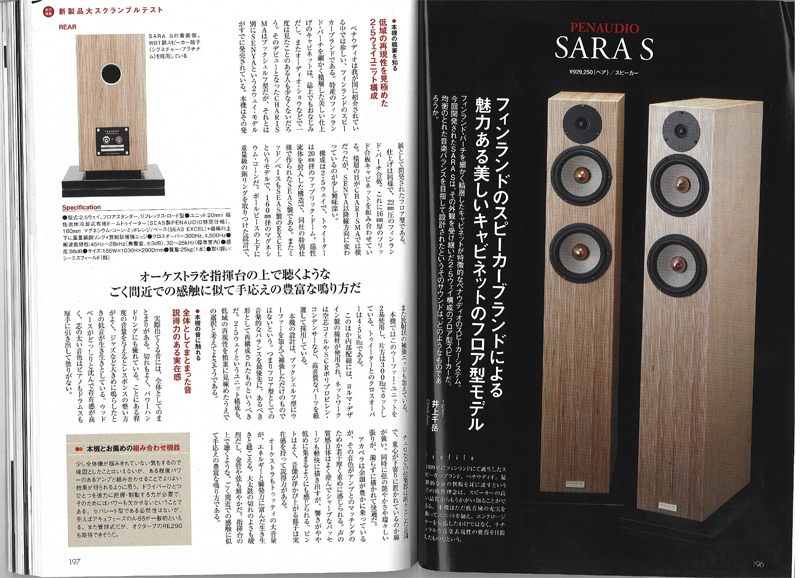 Penaudio Sara S was reviewed in finnish online magazice audiovideo.fi. First paragraph says: "Nice sounding finnish beauty". Penaudio will be presenting its products 1-3 of November in Helsinki Hifi Expo. 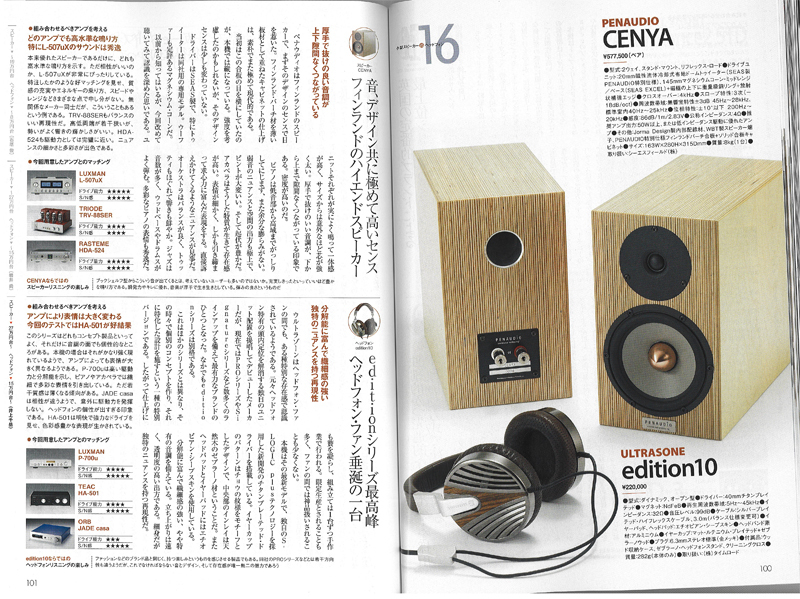 Penaudios Cenya is second Penaudio product that hits the Stereophiles recommendation list. Cenya was ranked as class B monitor. Penaudio launched new Signature series of Cenya and Sara S in Munich High End 2013 show 9-12 May. Actually we can talk about brand new products as they have same Seas Crescendo tweeter that is in Sinfonietta and Sinfonia. They have more internal volume as basic models, their inner side walls are damped with sheets of bitum. They have WBT 0705 silver pole screws and they are labeled with designer Sami Penttiläs autograph in back of the speaker. And of course cross-over is redesigned. 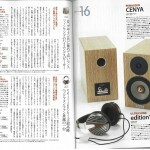 Cenya review from Audio Accessory, Japan 2013. AM-106-Penaudio "Penaudio managed to create the acoustics that are surprisingly superior to their previous experience, former concept of playing and the expectations of the sound of the Finnish brand." Sara S review again in Russian magazine. This time in Hi-Fi.ru! 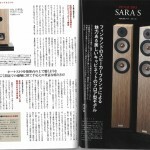 sara_s review in russian What Hifi magazine!